Most illustrator tools have a bunch of extra features only accessible using short cuts. Here’s a selection of tips and shortcuts useful for inking images. 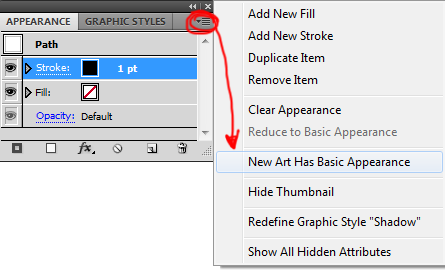 Import your bitmap (scanned) artwork on the art board by using (File > Place). With the artwork selected got to (Object > Live Trace > Tracing Options…). There are several presets within the Tracing Options window, or you can use the controls to fine tune your own settings. Check the preview check box to see your settings applied in real time. If its a black and white image check the ignore white checkbox in Trace Settings. This will prevent unneeded white filled paths from being created. When you are satisfied click the Trace button. After your object is traced click (Object > Expand) to turn your artwork into editable paths. Preserve stroke settings while creating several paths with the pen or pencil tool. To stop the stroke settings reverting to basic with each new path. deselect New Art has Basic Appearance. Ctrl s to quick save. See this article describing how to Move the folder and reset the Illustrator preference. Go to File » Document Color Mode and check RGB. Select everything in your document and go Filter » Color » Convert to RGB. In brief… if you select multiple paths on the artboard you can then click on the small coloured square in the layer view to drag that selection to a new layer. (e.g. In the image the above, click and drag the top right green square ). There is a more detail explanation here . Alt click a Layer Eye icon to hide everything but that layer. With the selection tool (V) double click to enter isolation mode. Double click a tool in the tool bar to bring up its settings dialog. Choose the ‘Direct Selection Tool’ first ( the white pointer) then the pen tool. While using the pen tool hold ctrl to use the direct selection tool. While drawing click then drag on the last endpoint to adjust the Bezier Handle for the next path segment. You can also hold alt to break the handles or simply click and let go to make the next line straight. Instead of using the ‘Direct Selection Tool’ (white pointer) to select the end point, you use the regular Pen Tool to select the endpoint first, then you can keep drawing like usual! hold Alt and drag – creates a rectangular selection and erases everything inside it. double click a wp to access the Width Points Edit dialog.